Our in-house team receive disclosures via whistleblowing hotline, online, email and locked mail bag. We've built our system to provide organisations a more reliable, flexible and secure way to manage and store their whistleblower disclosures. After speaking up, we offer whistleblowers a confidential online portal to receive updates and connect with the organisation. Your Call’s Disclosure Officers are licensed investigators and have a minimum of 20 years' experience spanning law enforcement, workplace behaviour consulting, law, accounting and GRC. Your Call is a modern external whistleblowing hotline and online service giving your stakeholders an opportunity to speak up about dishonesty, fraud, unsafe environments, unethical and other inappropriate behaviour or misconduct. Your Call seamlessly aligns with your organisation’s Whistleblowing Policy and governance framework. 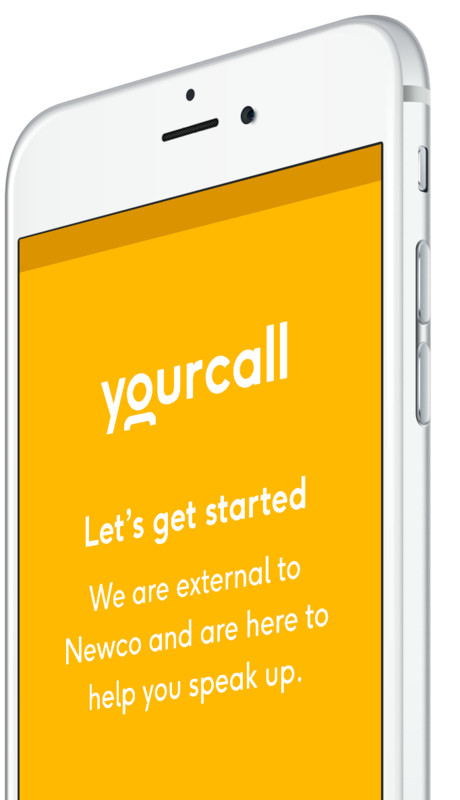 Your Call is a best practice provider relied on by public, private, government and not-for-profit organisations. Our service is built around the Australian Standards AS 8004_2003 ‘Whistleblower Protection Programs for Entities’.